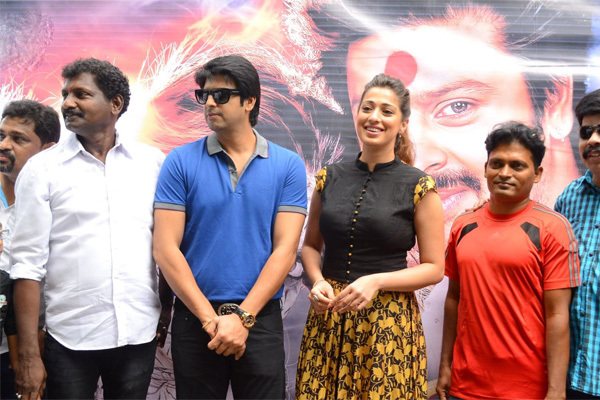 Srikanth and Raai Laxmi essaying the central characters in the film titled Sowkarpettai is all set for its audio launch on October 20th. Filmmakers are now busy with the arrangements for Sowkarpettai audio release in Chennai. This film has musical scores provided by John Peter who is marking his debut in Kollywood. Sowkarpettai is marked to be horror thriller which has been made with all commercial elements. Actor Srikanth is playing two characters one as a common man and other as an agohra in this film. Sowkarpettai has been shaped up in the direction of VC Vadivudaiyan and bankrolled by Johnmax. Write & Share about "Sowkarpettai grand audio launch Oct 20th | Sowkarpettai Tamil Movie News | Cinema Profile" !